Cycle Sport magazine May 2014 issue is on sale now! In the new issue we focus on the Spring Classics, with retro features looking back at some of the best editions and a look ahead at what may happen this season. Is Bradley Wiggins about to take off into a new sphere of celebrity in the United States? That’s the question we ask as Sir Bradley heads over to the Tour of California. Plus, there are features on Ellen Van Dijk, Michal Kwiatkowski, Rui Costa and beards in the peloton. There’s also our monthly look at the pro’s machines and desirable kit. And there’s the usual digest of expert analysis and unrivalled photography from the 2014 season so far. 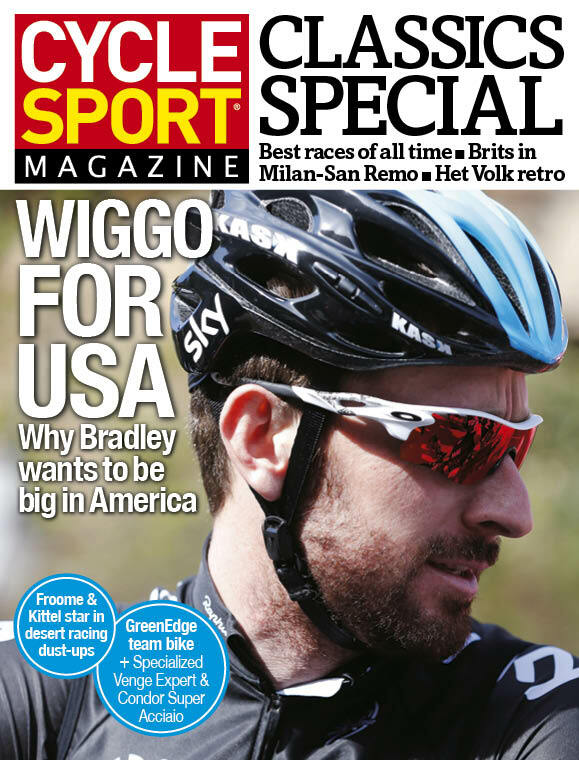 Wiggins in the USA: Why is Bradley so keen to break America? Team of the month: Froome’s the leader, but who’s backing him up?